Laguna Beach Real Estate is considered to be the one of most desirable locations in all of California. Located right on the beach between Monarch Beach and Newport Beach, Laguna Beach in one of the most beautiful places in the world. As a world traveler, I have traveled all over the world and I always come back to Laguna Beach and marvel in breathtaking views of the blue pacific, the countless sandy beach cities up against soaring cliffs and the down to earth people who live in Laguna Beach. If you are you looking for Laguna Beach homes for sale you will find the price of beauty doesn't come cheap here. Laguna Beach has always been a very desirable destination from the early 1920's when Hollywood starts searched out out of town vacation destinations. Laguna Beach Real Estate has a great mixture of older historic homes that were built in the 1920's to brand new construction homes that hang to the side of a cliff. Architecturally, Laguna Beach has a strong modern Contemporary influence mixed in with Spanish & Mediterranean style homes. The city is a great place to live filled with historical charm and personality with an artistic flare. 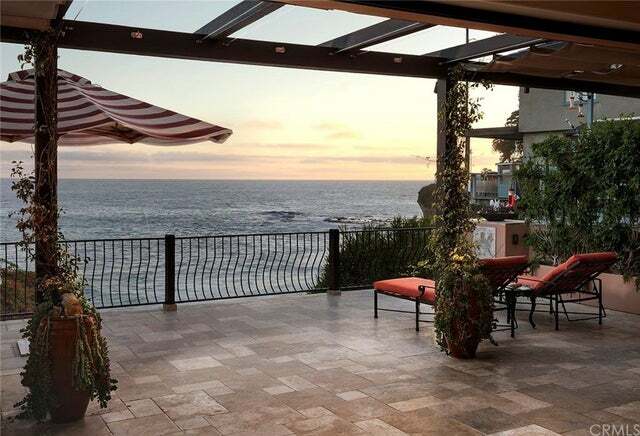 Here is your guide to Laguna Beach Real Estate no matter if you are looking for a Laguna Beach homes for sale or a Laguna Beach homes for rent. Laguna Beach neighborhoods consist of South Laguna, North Laguna, Laguna Village and Laguna Canyon. If you are looking for a home within walking distance to the downtown Laguna Beach area and less than 1 mile to the beach then you first choice should be Laguna Village. Laguna Village is a beautiful place to live filled with historical homes called "Laguna Cottages" and other large beach homes. Laguna Beach homes in North Laguna can also be walking distance to the Main Beach in Laguna Beach. For the most part, Laguna Beach is filled with beautiful single family homes. There are some multi-unit buildings and apartment complex's in Laguna Beach that offer a lot of value and rental income as well. 1) South Laguna is just north of Monarch Beach and features great communities like the beachfront community of Three Arch Bay and neighborhoods like South Laguna Village, Aliso Laguna, Laguna Royale and Laguna Lido. South Laguna is a great place to look for a home with a lot of value. Homes in South Laguna tend to be close to each other but a real sense of community can be found here. If you are looking for condos for sale in Laguna Beach please visit our Laguna Beach Home Search. 2) North Laguna is just south of Newport Beach and tends to be more expensive than South Laguna. Some of the most exclusive communities are located in North Laguna. Some of these upscale communities consist of Emerald Bay, Smithcliffs, Irvine Cove, The Coves, Crown Point, Emerald Terrace and Laguna Seacliff. It's not uncommon to see price in the $5 to $60 million+ range in these neighborhoods. 3) Laguna Village is a great mixture of older historical homes and "Laguna Cottages" mixed in with newer homes that are within walking distance to the beach and shops that line PCH Highway and Main Beach. Homes in this area are very desirable due to it's close proximity to the beach and it's large variety of older and newer homes. Homes in the Laguna Village tend not to have Homeowners association dues and regulations. Some of the popular neighborhoods in the Village consist of Victoria Beach, Upper Victoria Beach, Lagunita, Arch Beach Heights, Temple Hills, Bluebird Canyon and Top of the World. 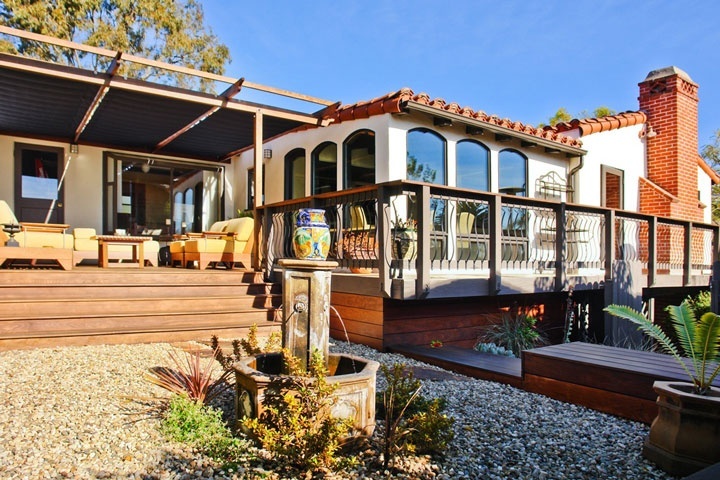 4) Laguna Canyon area mainly consists of homes in the canyon area of Laguna as you come off the 405 and 73 freeway towards the Laguna Main Beach area. Homes in this area tend to have larger lot sizes and more affordable than other parts of Laguna Beach. The Laguna Playhouse, Laguna Bowl, Sawdust Festival Grounds and also nearby to some of the homes in the canyon. Gated communities in Laguna Beach: Three Arch Bay, Blue Lagoon, Lagunita, Emerald Bay, Smithcliffs and Irvine Cove. 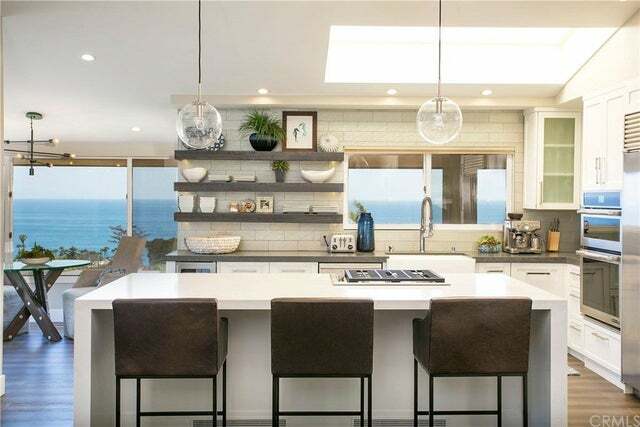 "A Portafina home in Laguna Beach, California has just been sold by Beach Cities Real Estate agent Scott Bingham who represented the buyer. nbsp;786 Bolsana Dr, Laguna Beach sold for $2,420,000 and... "
"A Blue Lagoon condo has just been sold by Michael Franco of Beach Cities Real Estate who represented the buyer. nbsp;117 Blue Lagoon, Laguna Beach sold for $1,520,000 and closed escrow on 7/17/2017... "
"A Laguna Terrace home in Laguna Beach, California has just been sold by the McDonald Team. 30803 Coast Hwy K-52, Laguna Beach sold for $350,000 and closed escrow on 11/29/2016. The home was located... "
"A historic Laguna Beach cottage has been sold by Beach Cities Real Estate agent Scott Bingham who represented the buyer. nbsp;The property located at 746 Summit Drive sold for $1,485,000 and closed... "